MORE THAN JUST A LOGO. GET THE TOOLS YOU NEED TO SUCCEED! Once you have joined the TFW Affiliate team, you will quickly realize much more comes along with the TFW program than just getting the right to use a name and logo. 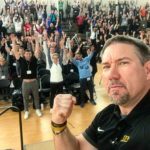 Over the last decade and a half, we have learned not only what people like you want, but also what you really need to be successful in the fitness industry. You get exclusive daily TFW training workouts, monthly and annual TFW workout programs and our 8-week “transformation programs” on custom TFW software. You get access to founder Martin Rooney and other members of the Training for Warriors team. You get access to our private TFW Affiliate network pages to share best practices with the over 275 TFW locations. You get monthly webinars from Martin and the TFW team to cover your current status and make sure you are running the TFW program correctly. You get your access to a special Affiliate section of the TFW Dojo which includes over 100 hours of video content on how to run every aspect of the program successfully. You get access to purchase our already existing marketing materials like T shirts, Warrior Bands, Record Boards, etc. 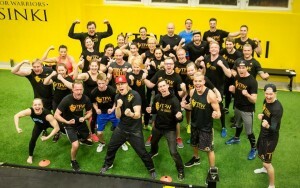 You get to attend our yearly 2-Day TFW Affiliate Summit where the TFW network meets together to share best business practices, new training methods and to deepen the TFW community. You get special vendor discounts on equipment of which other affiliates have already used to save more money than the price of the affiliation itself. 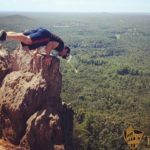 You get your business featured on the trainingforwarriors.com website and are listed as an official provider of the TFW System in your area. If you are interested in taking advantage of these benefits and becoming part of the TFW Affiliate network, click the button below to discover just how affordable it is to be part of this powerful team.